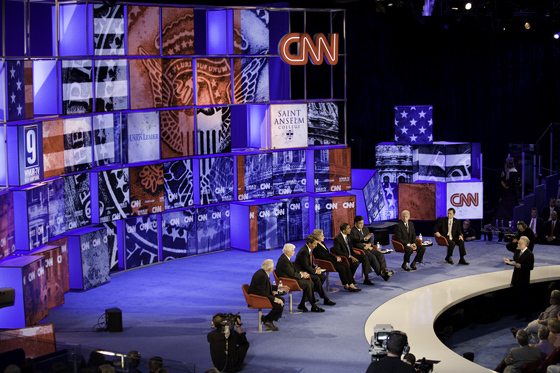 During the recent Promax|BDA awards, Clickspring Design was honored for its CNN Election set design. CNN charged Clickspring with realizing two primary objectives for election coverage. First: to communicate unassailable editorial expertise. The headline “CNN = Politics” established an equation for all design and production related to the election season. The secondary objective was to create a branded alignment between multiple events — twelve debates, five primaries and election night. Developing live events with audiences ranging from 200 to 2,000 in size, and addressing the realities of live video production — two very different lenses — needed careful synchronization. Clickspring’s team, led by principal Erik Ulfers, achieved these objectives wit the development of a consistent graphic identification (both static and dynamic) that could be dimensionalized in a 3-D environment. The team was always aware of the duality of live audience experience and the camera “shot” Clickspring developed a traveling stage-set for the primary debates,which was flexible and visually complex. The controlled-grid structure of illuminated cubes provided the backdrop and live audience surround. Initially, the illuminated cubes were as editorial as any political pundit’s commentary, existing as a series of fractured pieces from a larger graphic. As the race became more declared, the cubes resolved to a single aligned graphic. 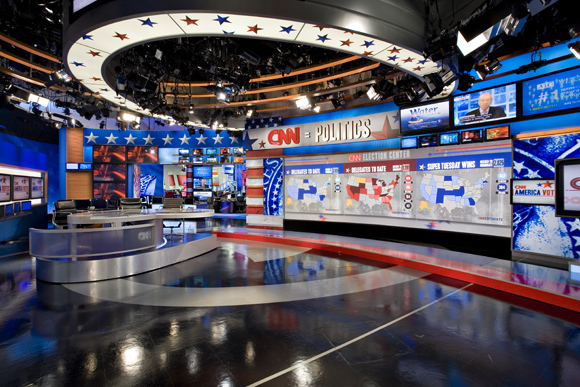 By designing a modular and therefore scalable environment for CNN’s live events, Clickspring achieved a consistent and strongly branded “look” which was incorporated into CNN’s Election Center, located in CNN’s broadcast headquarters in New York. CNN became the epicenter for the historical 2008 Presidential election; “The Most Trusted Name in News” became the highest rated coverage in both network and cable sectors. 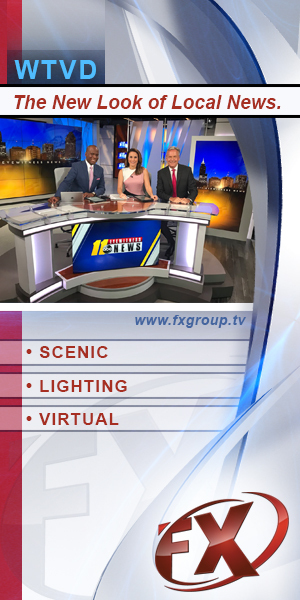 Ulfers shares credit with Clickspring’s Executive Producer Lori Nadler, and designers Shweta Vora, Tarrant Smith, Tom Schwinn and scenic artist Raeford Dwyer. The CNN team included Guy Pepper, David Bohrman, Jane Maxwell, and Sam Feist. Clickspring Design is an international strategic design and experiential marketing firm based in New York. For more information on Clickspring visit its Web site.